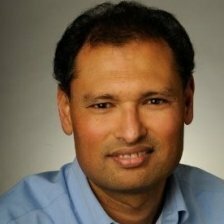 Abhi Dugar leads IDC’s worldwide research, strategic analysis, advisory services, and client relationships with major Information Technology and financial services industry clients on IoT Security and enabling technologies for Cloud and Enterprise Infrastructure. His current focus is on developments and adoption trends of open source platforms in public, private, and hybrid cloud environments, Software Defined Networking (SDN), Network Functions Virtualization (NFV), and cloud services (IaaS, PaaS, SaaS). Abhi’s work covers analysis of technology trends, workloads, products, vendors, supply chain, and end-user adoption strategies in enterprise IT and datacenters of Web, Cloud, and Telecommunications Service Providers. Mr. Dugar is based in IDC’s San Mateo, California office. Prior to IDC, Abhi held various business management, marketing, corporate strategy, business development, and sales roles, and was leading technology product lines with P&L and revenue responsibility for over $100M worldwide. He has extensive experience in product line strategy and management, developing and executing business plans, evaluating market dynamics and industry trends, competitive analysis, and establishing strategic technology partnerships and alliances as well as M&A and IP licensing.